Shipping before Christmas is not guaranteed for orders placed after Dec 15. Any orders not shipped before Christmas will ship after New Years. There's nothing more emblematic of the Holiday seasons than the cozy feeling you get waking to a fire and conifer brimming under with presents. That feeling of togetherness and warmth and holiday spirit shared while singing songs of the season with friends and family. That feeling of dominating your friends until they throw the controller at your TV. Ah, such memories! This year's game puts 2 teams of 3 players against each other in a crazy battle. 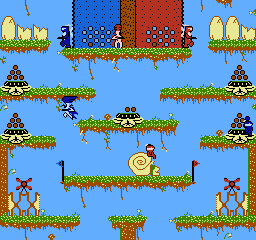 It is the first ever simultaneous 6 player NES game! Multiple player types and many goals for victory keep the action going and make your friends want to keep playing. 4 player games require the Four Score, and 6 player games require two Power Pads. 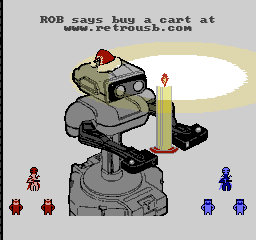 If you have a working ROB, a title screen option commands him to dance to the XMAS music. 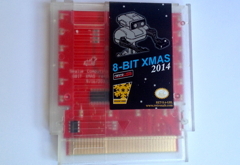 If you just want to play the game, here is a free ROM download! Load it up on your PowerPak or favorite emulator and destroy your friends. You will be sad you are missing out on the amazing blinky lights and extra animations! For the personalized touch, you can order Custom Text for the on screen message and the message inside the printed card. Send one to each of your friends, or just a few to yourself! This is only required if you ordered your cart with Custom Text. 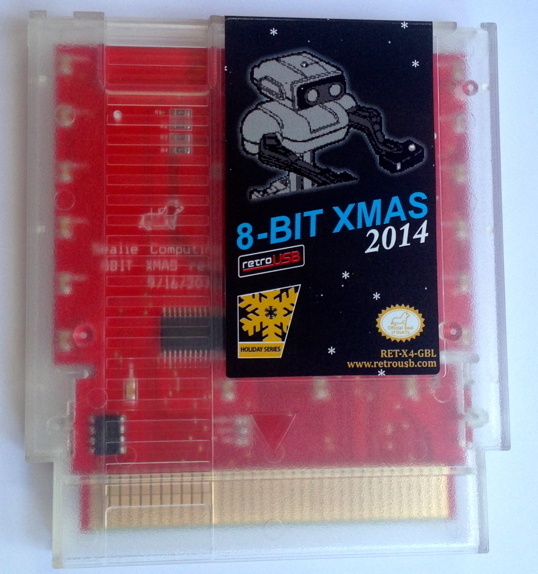 If you did not, your cart will come with a generic Happy Holidays message. The on screen message is 2 rows, 28 characters each row including spaces. Only letters, numbers, and simple punctuation will be used. See the demo ROM for an example of the custom text. The inside of the printed card will be blank so you can write your own. The poster is an 18"x24" high resolution version of the card artwork. It will ship separately from your order in a cardboard tube. ROB loves you! Squish everyone... Blinky lights! Works on clones like the FC Twin, NEX, Yobo, and Retro Duo.